With worldwide hits such as Digging Your Scene and It Doesn’t Have To Be This Way, The Blow Monkeys blazed an iconic trail across the 1980’s. Led by the charismatic singer songwriter Robert Howard (aka Dr Robert) and ably assisted by bassist Mick Anker, drummer Tony Kiley and saxophonist Neville Henry they further cemented their reputation with hits such as Choice?, Wait (a UK top five with soul diva Kym Mazelle) and Celebrate (The Day After You) a duet with soul legend Curtis Mayfield. All this plus a song You Don’t Own Me on the multi platinum selling soundtrack to the film Dirty Dancing. The band parted company on a high in 1990 as their greatest hits compilation Choices went Top Five and Gold on release. 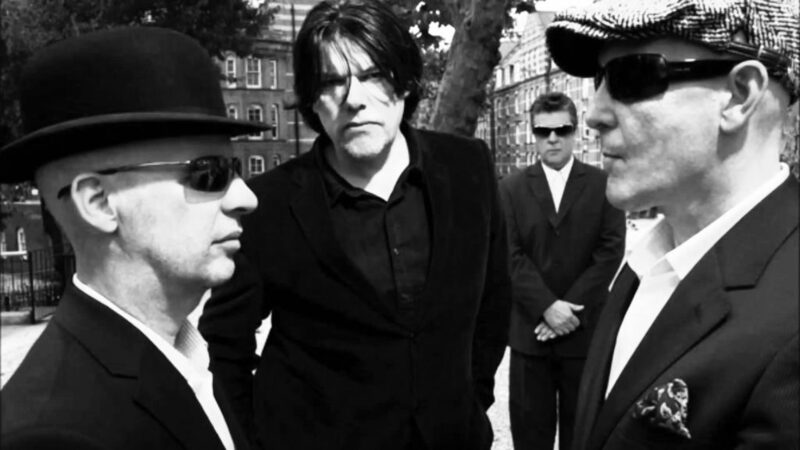 The Blow Monkeys reformed in 2008 and released their first new studio album in 18 years Devils Tavern followed by Staring At The Sea in 2011. Their renaissance continued in 2013 with the release of their highly acclaimed album Feels Like A New Morning and most recently their much lauded opus If Not Now, When? released in April 2015. In a career spanning more than 30 years The Blow Monkeys have carved out a unique place in pop history. They are on an evolutionary path that shows no sign of slowing down making music that is distinctly there own. Long may it continue.